Wow, I so did not expect a supernatural element to this story. 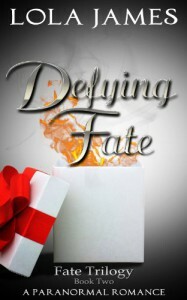 Like the title suggests, this novel is about what Fate has in store for Megan. Ok, when I say supernatural elements to this story, I do not mean that Fate is personified. (Just to clear things up a little). Messing with Fate, is a major part to this story that quickly pulls you in, as Lola brings in the world where Fate is predestined, think the movie The Adjustment Beauro but without all the guys in suits and hats, well, just the nature of the film where one's Fate is set. We see a lot more of the supernatural element when we come across what actually happens to Megan's dreams as well as who is messing with them and also what her dreams could actually mean.﻿﻿ Oh Alex....why hello there ;) Although this novel started off a little slow, it definatelty picked up the speed. We also get to Italy pretty early into the novel, which is good seeing as that is where all the action happens. Which means that, even though the start start is a little slow, Italy surely picks up the pace of the novel to leave us wanting to read more and figure out exactly what is going to happen. As well as a supernatural element to this novel, it then becomes infused with a paranormal element as well as you go further and further into the novel. 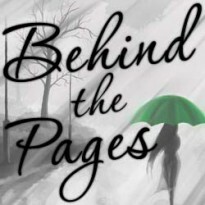 I will not say particularly what kind of paranormal creatures are in this novel, because some could judge the novel just by the kinds of paranormal creatures in this book (which is why Lola has left this element out of the blurb, as well as for the fact that we get surpised by the new element). At the end of the novel, there is a cliffhanger for the next book. But it isn't much so, as it leaves you with enough to satisfy your bookish-hunger of this novel as the BIG question has been answered, although it leaves out the answers on others and saves them for the next novel, which does keep us hanging for the next novel.